New Zealand’s South Island is full of characterful towns, beautiful fiords, stunning train rides and cool cities, and this great eight-night tour will certainly show you the best of the best. 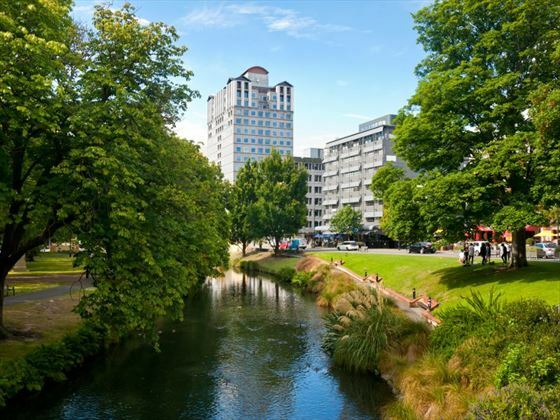 Starting and ending in Christchurch, there’ll be plenty of fabulous opportunities coming your way on this trip. 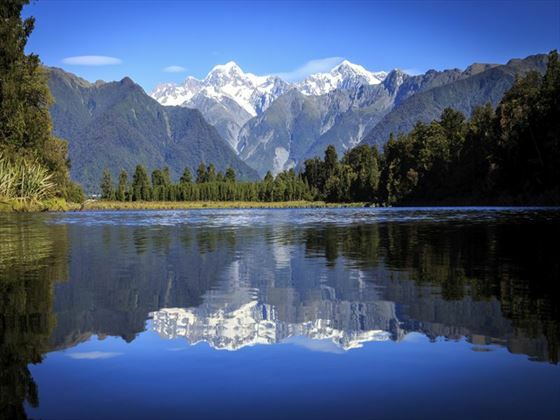 From walks across Franz Josef Glacier and scenic cruises through Milford and Doubtful Sound, to stunning train rides over the Southern Alps in the TranzApline and past pioneering work on the Taieri Gorge Train, you’ll truly be immersed in the South Island’s splendour (NZ). Upon arrival in Christchurch, a private driver will transfer you to your accommodation for the night. You’ll have some time to explore the area – we’d recommend hopping on the Double Decker Bus Tour. Day two will be spent travelling to Dunedin via Intercity Coach. Your coach will travel over the beautiful Canterbury Plains and head south across State Highway 1, which crosses many picturesque rivers. Before reaching Dunedin, you’ll travel through the towns of Timaru and Oamaru. 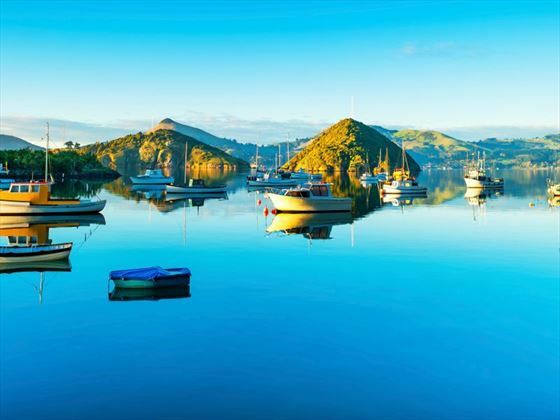 You’ll have some time spare to explore Dunedin – we’d recommend enjoying the Speights Brewery Tour, or embark on a small Elm Wildlife Peninsula Encounter Tour. 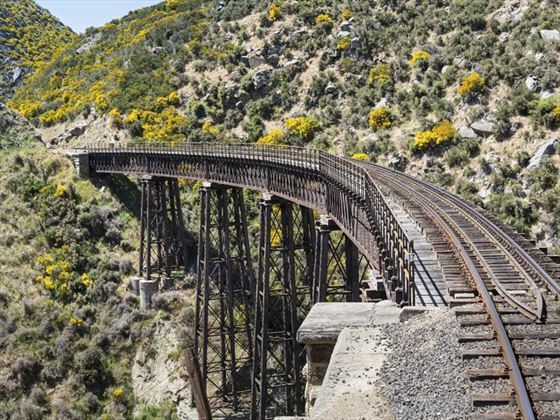 Today you will be transferred to the train station for your journey on board the Taieri Gorge, a train teeming with early settler history, offering great views of pioneer stone work and engineering. The combination of modern carriages and restored traditional carriages make this a unique train ride. You’ll either finish at Pukerangi or Middlemarch, where you’ll travel to Queenstown via private transfer. 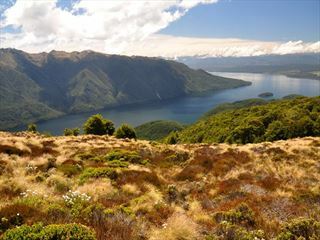 Today you will embark on a wonderful two and a half hour Nature Cruise along the fiord to the Tasman Sea. 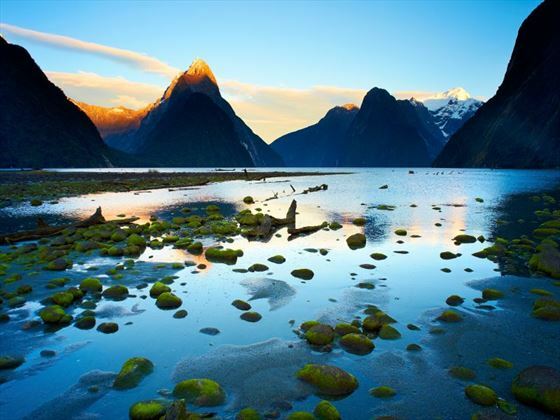 You’ll begin by boarding a luxury glass-roofed coach in Queenstown and enjoying a chilled trip to Lake Wakatipu and to Te Anau, all the while being treated to a fascinating commentary from your coach driver. Once you’ve reached Te Anau you will stop for lunch, before travelling down Milford Road to the Nature Cruise. The cruise is a scenic trip past cascading waterfalls, thick forest, and wonderful wildlife, and includes a complimentary picnic lunch and tea and coffee. Day five is an adventurous one. From Pearl Harbour in Manapouri, you will cruise across the sparkling Lake Manapouri to West Arm, before travelling by coach through thick rainforest and taking in gorgeous views of the tropical flora. Soon you’ll arrive at Doubtful Sound, where you will board the Commander Peak catamaran for a three hour cruise of the stunning Doubtful Sound. Be sure to look out for fur seals on the rocks, or a resident pod of bottlenose dolphins. On the return journey, the engines will be turned off for the ‘Sound of Silence’. 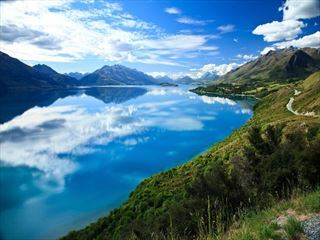 Today you have the whole day free to explore Queenstown at your own pace. 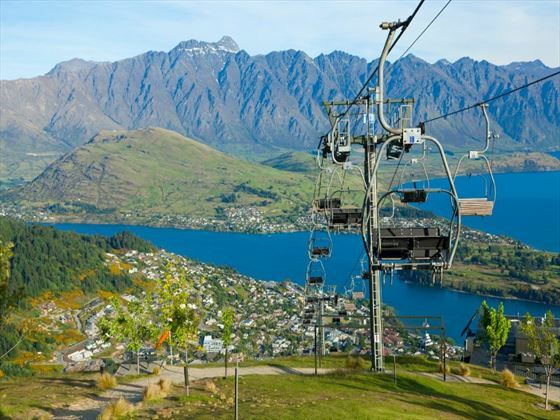 Known as New Zealand’s adventure capital, there are plenty of adrenaline-fuelled activities to enjoy, including the Nevis Bungy, Shotover Jet trips, and the epic Canyon Swing. For something a little less scary, walk along the waterfront and visit the quaint cafes, or embark on the Gibbston valley wine trail to sample some of the region’s best Pinot. To get to Franz Josef Glacier today, you will travel by coach through Cromwell, Wanaka and Hawea before crossing over the Haast Pass into Westland. Once there, you can hop on the local shuttle and head to the glacier base to enjoy some incredible views – you could even take a scenic helicopter ride. In the morning you will travel through the small townships of Whataroa and HariHari, before stopping at the Bushman’s Centre for refreshments. Once in Hokitika you will tuck in to a delightful lunch and walk around the town before boarding the fantastic TranzAlpine train. 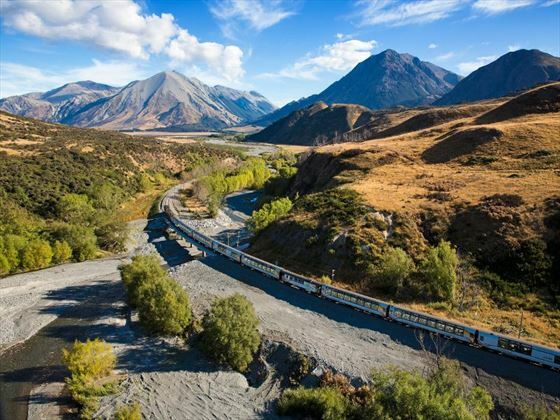 Known as one of the greatest train journeys in the world, this train will take you across the stunning Southern Alps to Christchurch. Your tour ends today. You will be transferred by private car back to the airport for your onward flight.